In order to have a wider presence, a lot of start-ups come with an idea of having their own website. Not only does it give them an edge of looking professional, but also make them appear more serious and inclined towards their business. A good website design can help start-ups in expanding their business and establishing a reinforced image on the Internet. With the digitalization spreading its wings, it is essential for the smaller businesses and start-ups to capture their target audience with much more conviction and effectiveness. It is paramount that your business should have such a website that it not only attracts your target customers, but also makes you look inclined towards a larger picture. This is important for your future investors as well. 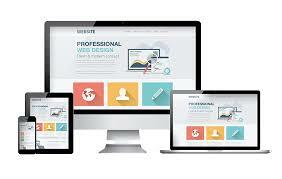 Getting your website created professionally can help you in several ways. The business owners who have no idea about the designing of a site, it is recommended that you go for the professional web design services. What to look for in the professional design? How your website will appear on the Internet will play a major role in getting you your due recognition. Often, small business owners do not understand the power of a simple website. While the appearance of your website should be convincing, it is also essential to have an easy move around on the site. Balanced characteristic and pleasing colour combinations play a vital role as well. Know your requirements clearly before discussing them with the professional web development services. Getting a professional company on board for designing your entire website can prove to be extremely beneficial for the start-ups. But, the major constraint that small businesses have is the budget. Nevertheless, it is also important that you have the established name on board because experience will play all the difference. This will also give you the required security regarding the success of your site and wider reach to your target audience. Now, the first thing that we must discuss here is the budget. Before you compare the budget or know the cost of website design, you must first know about the kinds of websites. There are two main types- static and dynamic. A static website is the one where the content remains constant. This means that each visitor on your site is presented with the same content and it doesn’t change. This is the most basic kind of website design. These sites have HTML coding and do not require any database designing. A dynamic website is the more complex thing. In this site designing, you can seldom get it done on your own and will require professional web development services. This involves scripting ad coding languages, such as Coldfusion, JSP, PHP and ASP. Even when you are a start-up, getting a dynamic website can be more beneficial to your business. You can ask the professionals for dynamic website design for start-ups. Most of the professional companies will give you basic packages for each kinds of website design. You may get in touch with the professional web design services or the website development services to learn about their basic packages. Each company may offer different things, but more or less the fabric of a basic package remains the same. This may start from Rs. 3000 and go on to Rs. 5000, depending upon your requirements. A site can be customized as per the client’s requirements and the professional web designing companies can even customized packages to suit your needs. The website design can begin from Rs. 4,500 and go on to Rs. 15,000. Creative Packages- Here, the professionals work on diverse software to unleash their creative side and be experimental. If you have a start-up that requires out of the box designing, you can choose creative packages, which can cost a little higher than the basic ones. The creative sites require more effort and creative professionals. The cost of website design of these kinds can be anywhere from Rs. 10,000 to Rs. 15,000. You can get in touch with the creative teams of a company to get a hang of things in a better manner. Your professional website design for start-ups can cost anywhere from Rs. 15,000 and go on to Rs. 40,000. Note: The table above does not represent the budget of an individual start-up or the package of any particular company. These packages may be subject to change as per your business requirements, preferences and customization needs. The cost of website design can play a crucial role in your overall site appearance. It is recommended that even if you are a start-up, you must have a separate budget allocated to your website design because this can be a game changer for your business. Professional web development services can offer you much more appealing and compelling website design for start-ups. How to choose your professional web design services? All this will give you an idea of how exactly your site may look, when designed by these professionals. Is the company also offering following things-? When you go to the market to seek website design for start-ups, you will be surprised at the number of options that you have in hand. Getting a professional company will however play a vital role in determining the success of your start-up. As per the cost of website design that you have decided for yourself, make sure that you are ultimately choosing the best one!